No question about it: Life changed drastically for Yogesh Kumar while crossing the road to buy a milk packet. 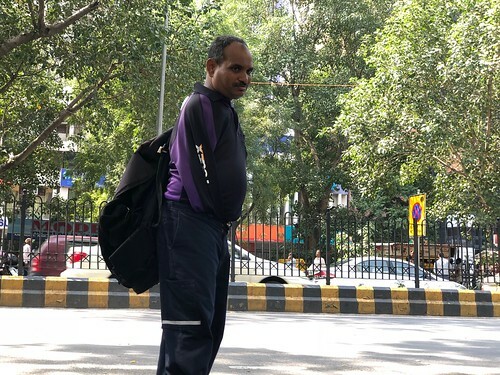 Even so, Mr Kumar has been a “courier boy”–as they’re called–all his working life. A heavy bag hangs from his shoulder as he spends his long day making countless deliveries around Connaught Place. 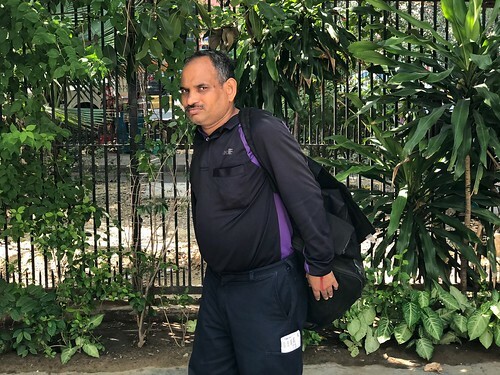 “In a sense, it’s the dream job,” says Mr Kumar, 42, who loves the city streets. 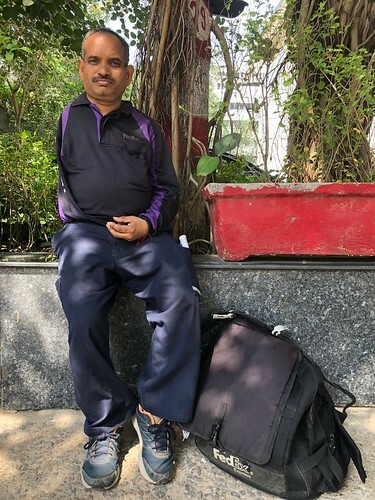 “This kind of work has made me so very independent, even though it’s difficult sometimes.” He’s especially fond of ghumakkarri—which is quite simply wandering aimlessly along the streets and byways of our fair city. As the father of three, he leaves home at Vinod Nagar in east Delhi promptly at 8.30 am, returning at 7pm. And looking forward to dinner prepared by his wife, Chanchal Devi. Sundays finds Mr Kumar taking it easy, often in front of the TV.